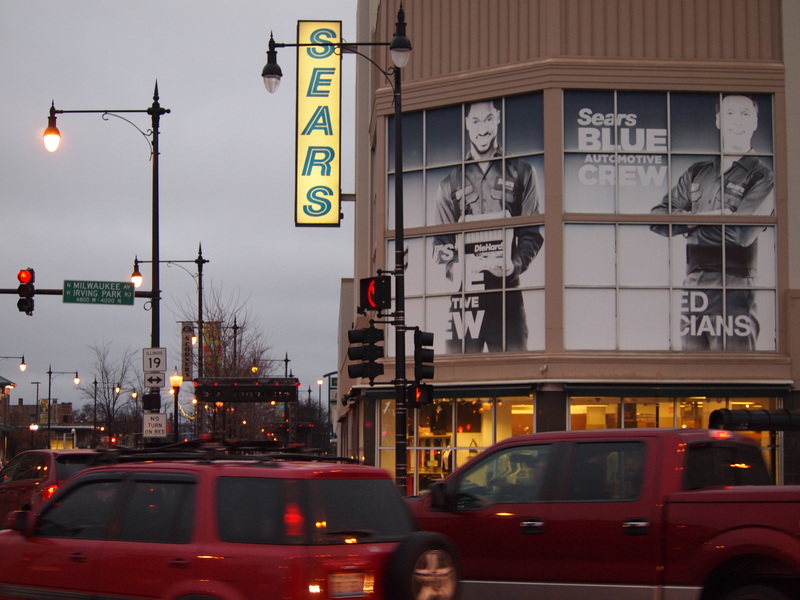 Not even vehicles from six different directions generated enough traffic to save Sears’ last store in Chicago. The retailer has announced that it will be closing its store at Six Corners on the city’s Northwest Side this summer. The store, located at the intersections of Irving Park Road, Cicero Avenue and Milwaukee Avenue, is the last remaining entity for the retailer within the Chicago city limits. Chicago resident Christopher Marrares said the store in the Portage Park neighborhood has been a go-to place for his family for decades. “It’s a pretty big impact because I know how long this store has been around,” Marrares said when leaving the store this weekend. “My grandparents used to come here. So I feel it is someplace that they felt secure, where they could buy appliances and whatnot. They kind of knew the store by heart. Marrares said he would personally go the Six Corners store often, frequently buying his jeans from the Sears location. “They usually have good deals so I will miss all that,” Marrares said. Chicago was the home for Sears’ first store back in 1925. 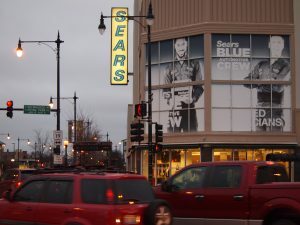 The Six Corners Sears store will be closing in mid-July. The nearby Sears Auto Center will be closing in the middle of May. 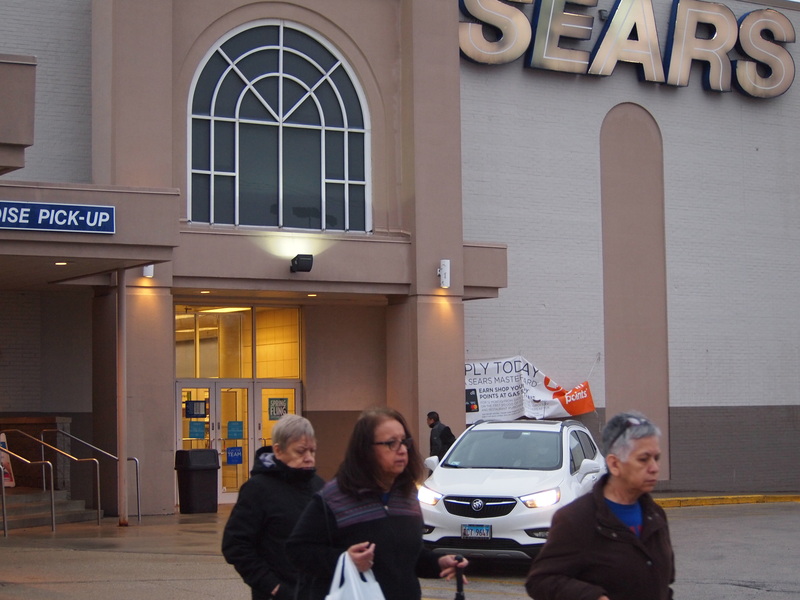 The store is one of 265 Sears locations that were sold to Seritage Growth Partners. Sears has been leasing the site since Seritage took it over in 2015. “We have proudly served our members and customers on Chicago’s Northwest Side for the last eight decades,” Howard Riefs, a spokesman for Sears, said in a statement. Riefs said the Chicago store’s closing does not change the company’s commitment to its customers or Chicago residents. 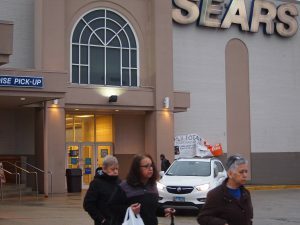 He noted that shoppers who frequented the Six Corners store can still shop Sears online or at a store in the suburbs.